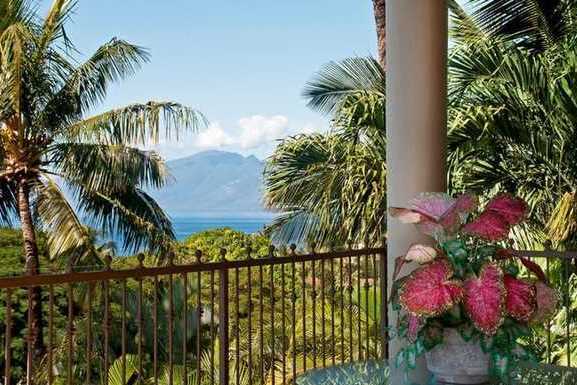 Hale Kohola – Luxury Vacation Homes, Inc.
Hale Kohola is a wonderful house located on one of the Kaanapali Golf Courses and offers the perfect location for families or 5 couples. 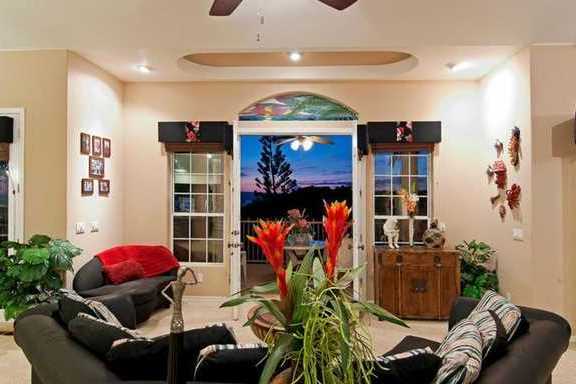 Spacious and well designed with lush tropical views, this home will delight all visitors. 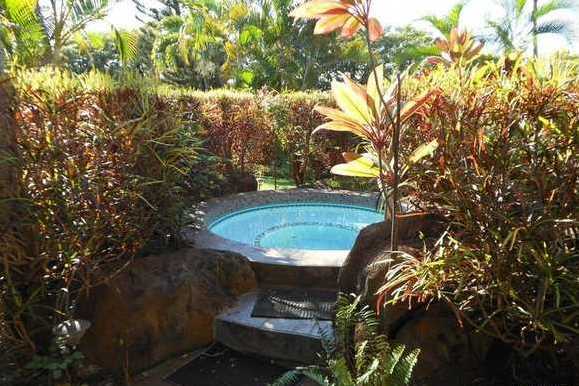 Pool with turtle mosaic, Jacuzzi and large sun deck wrapped in lush garden with lots of foliage highlighted with foot bridge and pool waterfall. Grill on the deck and enjoy your dinner poolside, just like your own private resort! 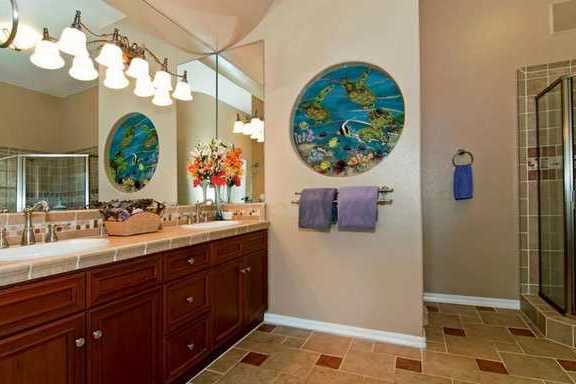 Upon entering the home you immediately notice the marble floors, indoor waterfall with whimsical sculptured fish and inviting layout. 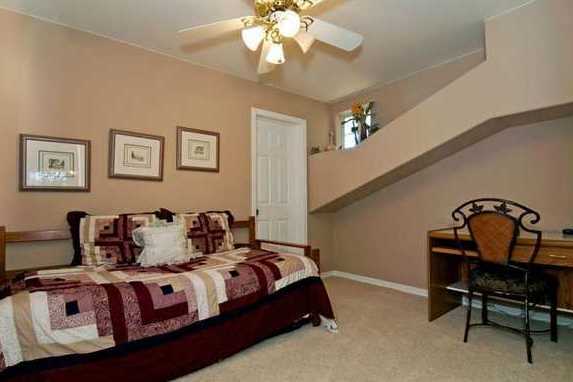 Both Master Bedrooms are located on 1st level, each with ensuite bath. 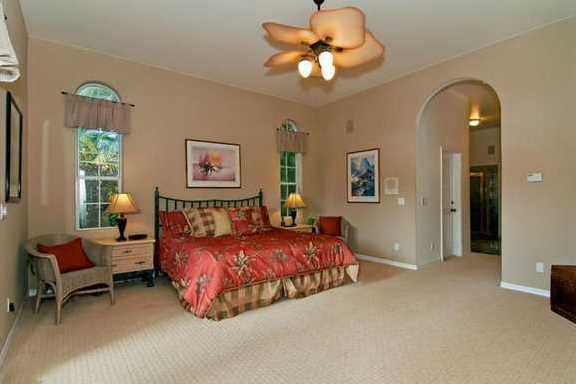 King Bedroom 3 and Queen Bedroom 4 are located first floor as well with an inviting living area central to all. 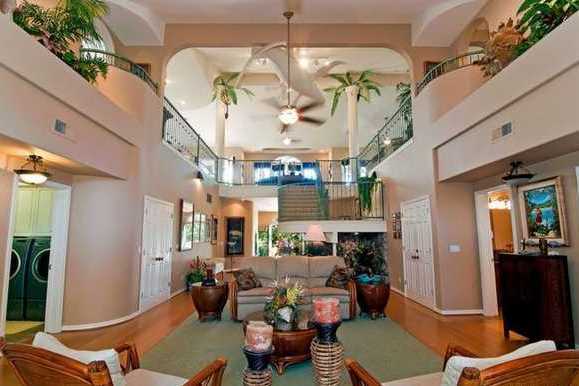 A two story atrium rises before you in the from of an open winding staircase. 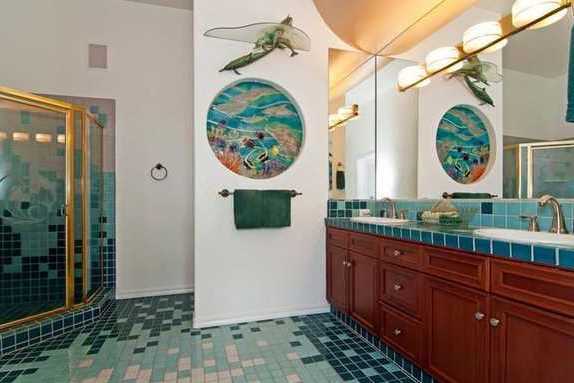 Above is an amazing Humpback whale sculpture with several other artistic surprises in store. This home has won several design awards, for it’s unique pleasures! Reaching the 2nd level you realize just how expansive this home is with a large ‘U’ shaped floor plan which incorporates the kitchen, dining and living area complete with gaming table, large screen TV, stereo and DVD player. 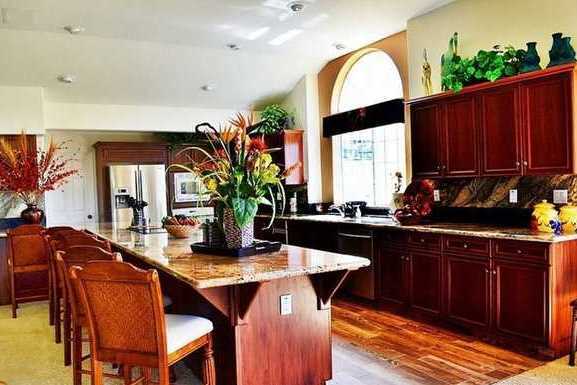 This truly is a home designed for large scale entertaining and fun. Then open the French doors to lanai in living and dining areas to view ocean sunset, surrounded by layered tropical foliage. 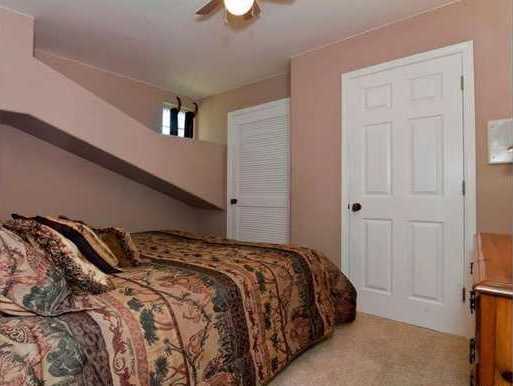 Also on the 2nd level is your 5th Bedroom, a King. 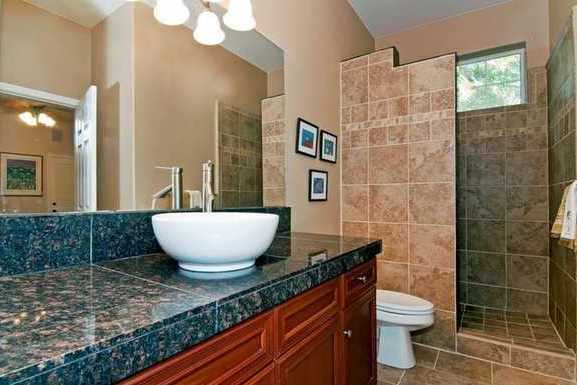 A full bath is located just around the corner. 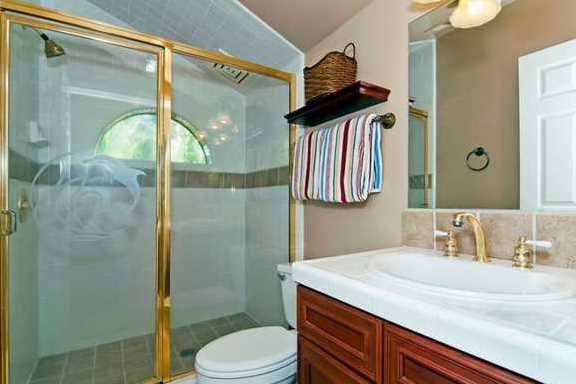 10 guests will enjoy ample space and privacy. 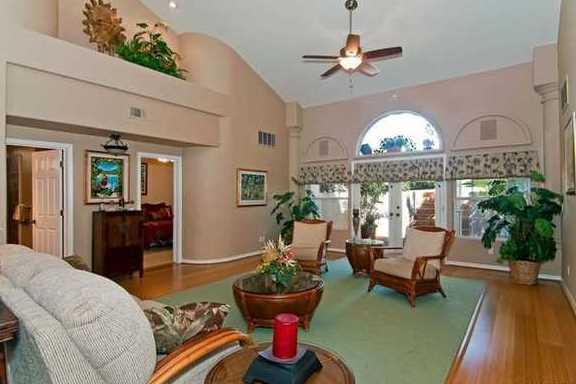 A ‘bonus’ room is located just behind the kitchen which includes a daybed. 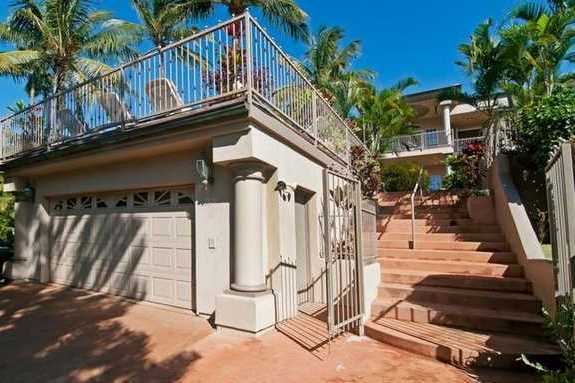 Two minutes to Kaanapali Beach by car. 2 1/2 blocks. 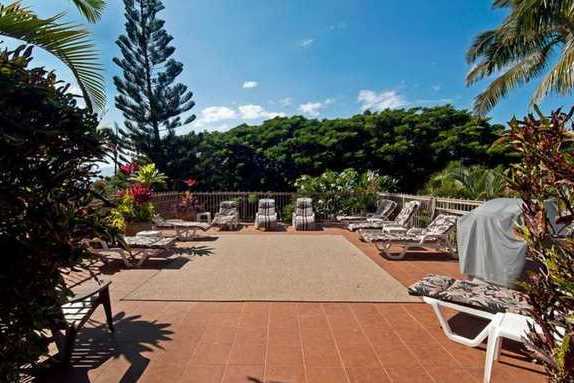 Conveniently located near beaches, golf, tennis, shops and dining in the Kaanapali or Kapalua Resorts and only a brief, ten minute drive into Lahaina. 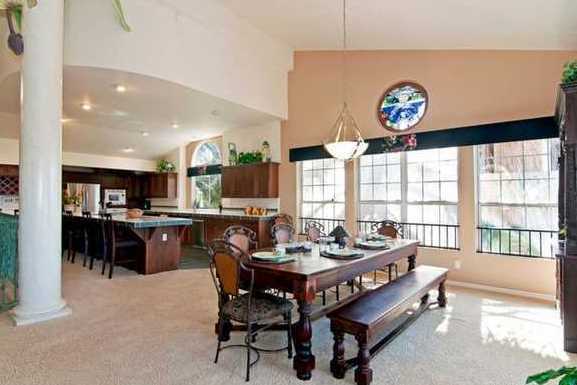 There is also a daybed and desk in bonus room behind kitchen.